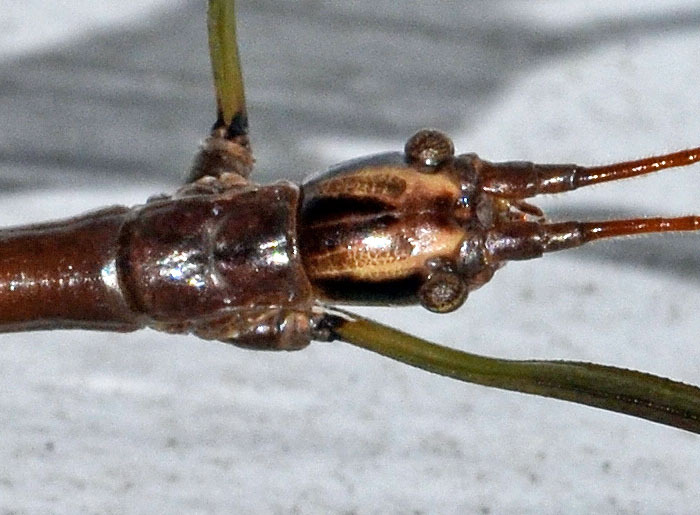 Diapheromera femorata (Northern Walkingstick) ♂. 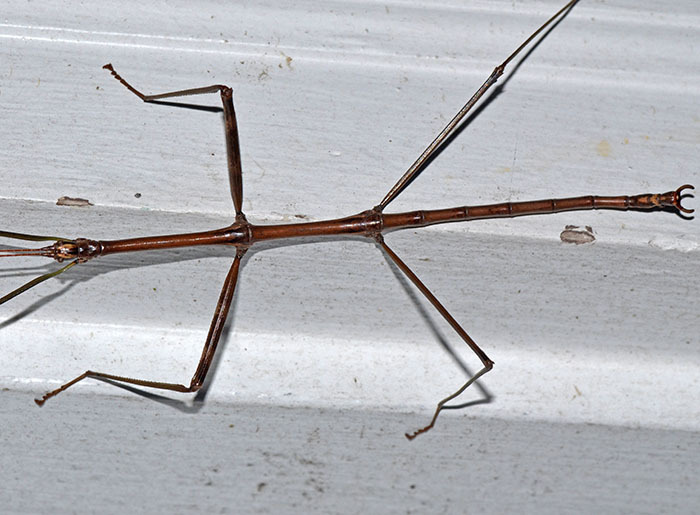 The body of this twig-like walkingstick measures about 7.5 cm or 3 inches; the slightly greenish females can add another 2 cm to this and the antennae span about 2/3 of the length of the body. They can be found in deciduous woods or like this specimen right next to the house door. The insects have no wings and dispersal from tree to tree is limited.